WeAreQuebec.org is a new online meme gaining momentum in the lead up to today’s provincial election. It’s a place of support for those targeted by the Charter of Values, where you can post a photo of yourself in a kippa, hijab or turban in solidarity with Quebec’s minority communities. It’s fun, but with a serious message. 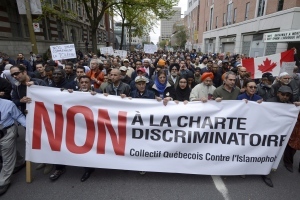 Off the Hour’s Andre Goulet spoke with Joey Tanny of WeAreQuebec.org about the website’s motivations and the role of social media in organizing against the Charter of Values. Listen back to the opening panel of the Study in Action conference, on the theme of “Struggles of self-determination”. Christina Xydous spoke about feminist anti-racist opposition to the Quebec charter of values (this speech is in French). Amanda Lickers (Onkwehonwe from the Turtle Clan, Onondowaga nation) spoke about the fight against oppression systems which destruct social and cultural infrastructures (this speech is in English). Gabrielle Bouchard spoke about gender self-determination (this speech is in French). Among the many organizations in Montreal to voice their opposition to Bill 60 is the Montreal Holocaust Memorial Centre. CKUT’s Anna Marchese sat down with Louis-Philippe Jannard from the centre to find out more. 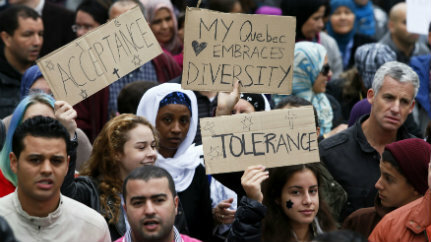 Friday, March 21st was the March Against Colonialism, Racism, and the Quebec Charter of Values. 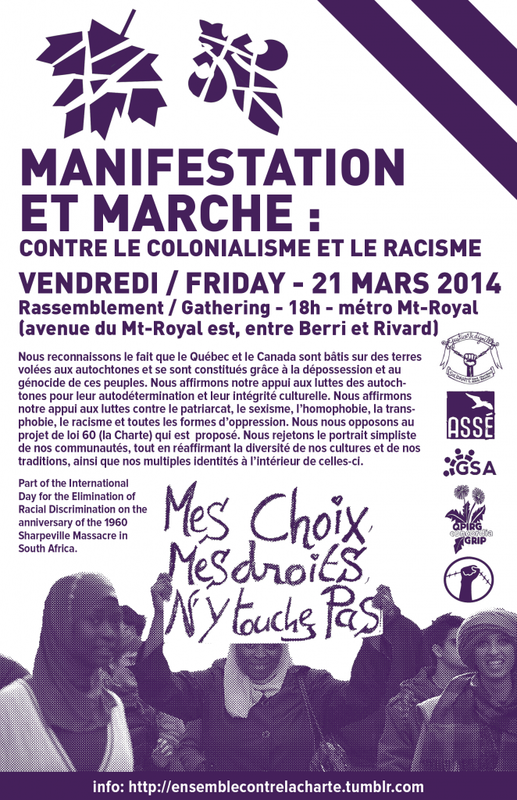 CKUT’s Anna Marchese sat down with Joel Pedneault, one of the coordinators of this event, to discuss the Charter and the issues of colonialism and racism as they play out in the context of this upcoming election. On Tuesday, March 11th, a group of women intellectuals hosted a discussion at the bookshop called “Port de Tête” on Mont-royal. The talks were about a book they have just published called “Le Québec, la Charte, l’Autre, Et après” which sheds light on the way the Quebec Charter of Values has been impacting local minority groups. CKUT’s Justin Juice interviewed Cecile Rousseau who is a clinical psychiatrist at McGill University as well as a contributor to the book. 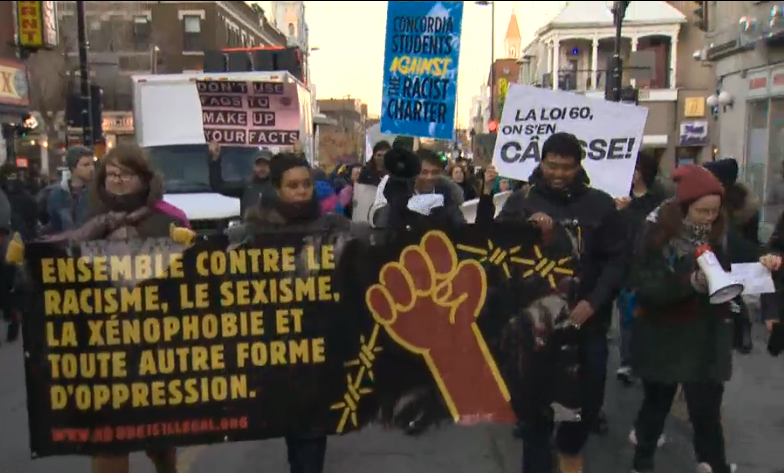 As the debate around Bill 60, also known as the Quebec Values Charter continues, CKUT continues to bring you voices struggling against racism and xenophobia on Off the Hour. 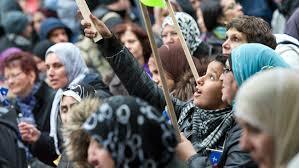 You will hear from Haroun Bouazzi of the Association of Muslims and Arabs for Secularism in Quebec.